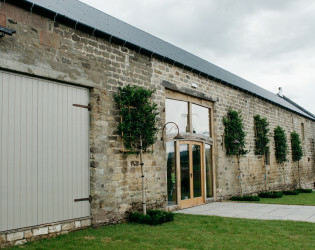 Healey Barn a wonderful new wedding venue in the Northumbrian countryside, near the small village of Healey. 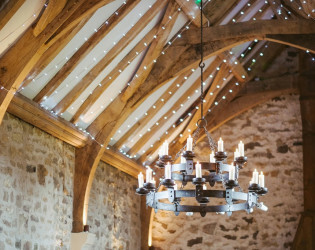 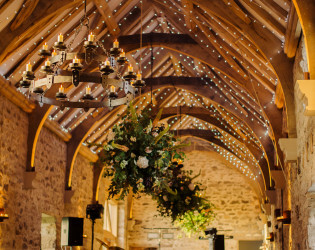 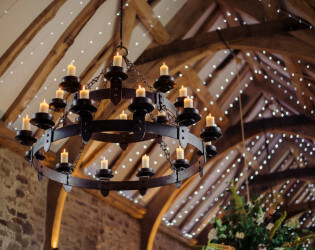 The main building, the Long Barn, has a spectacular oak “raised cruck” roof, three giant candelabra, wall-mounted candle holders, a fairy-lit ceiling and, of course, a barn-sized stone fireplace. 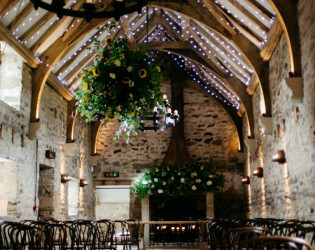 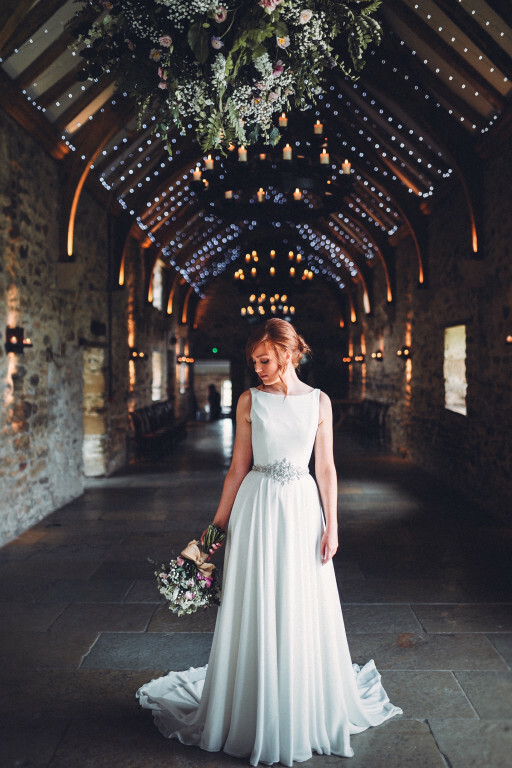 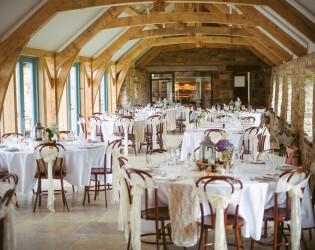 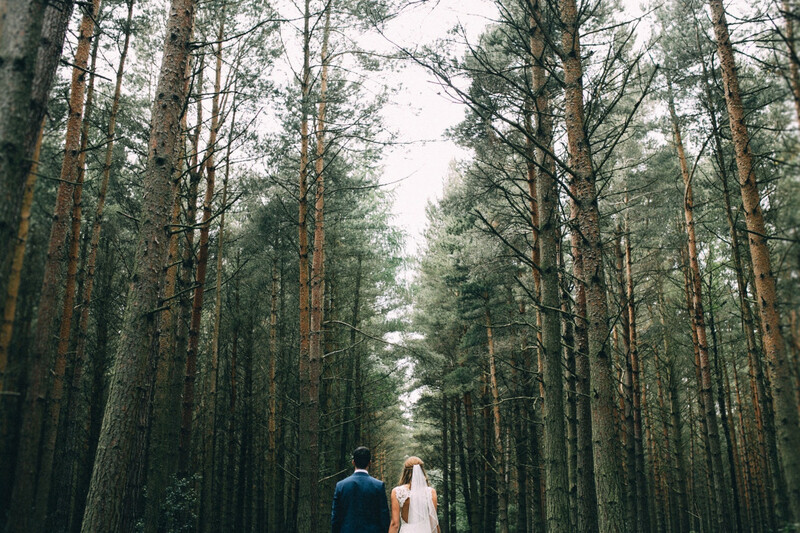 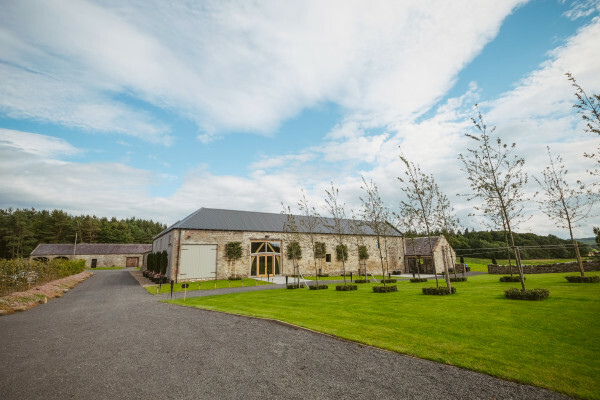 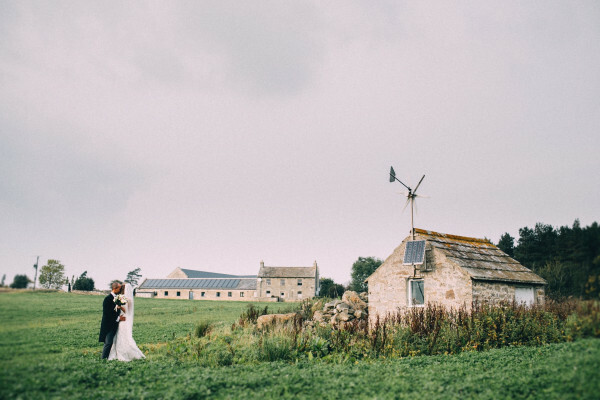 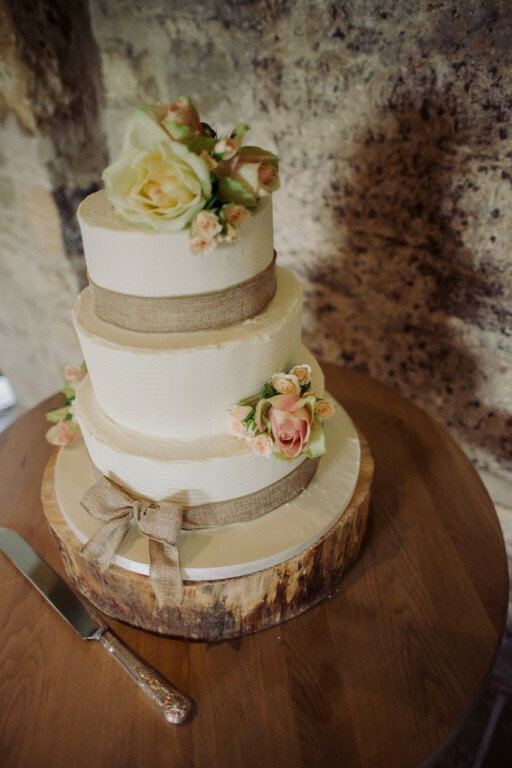 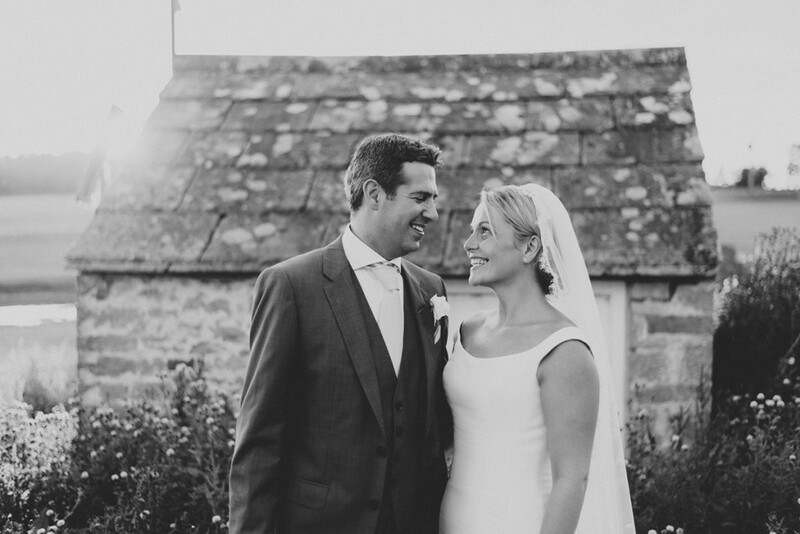 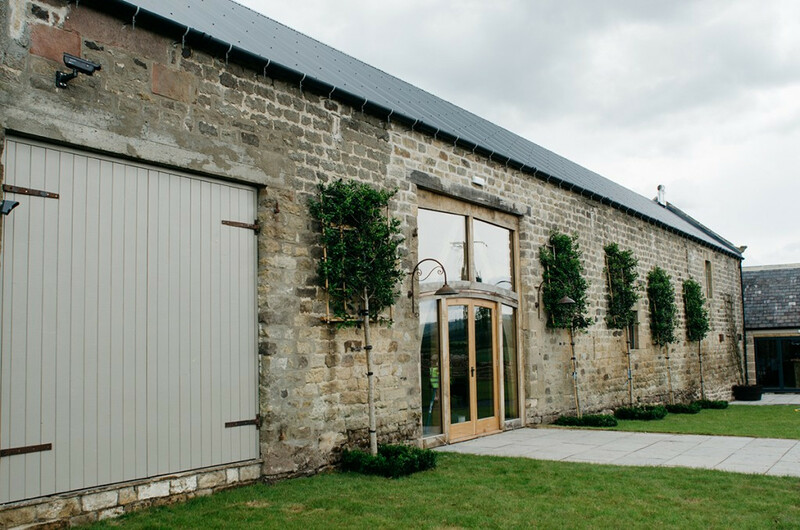 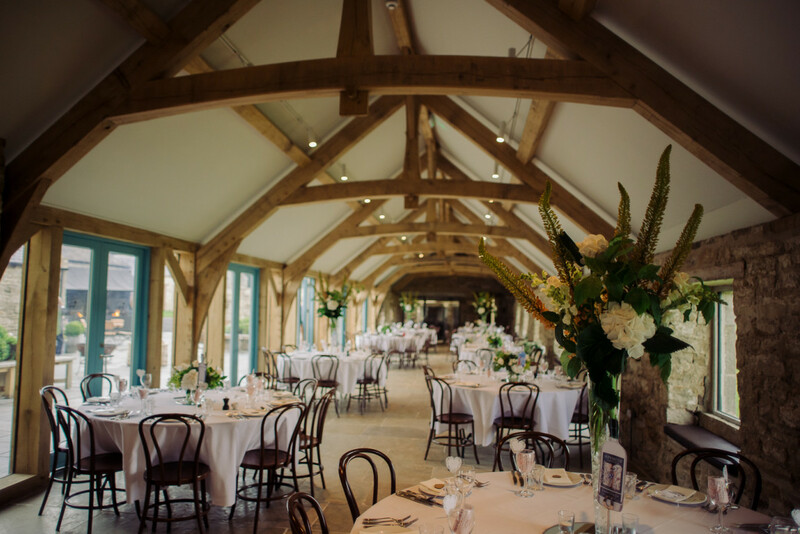 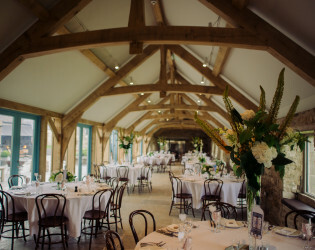 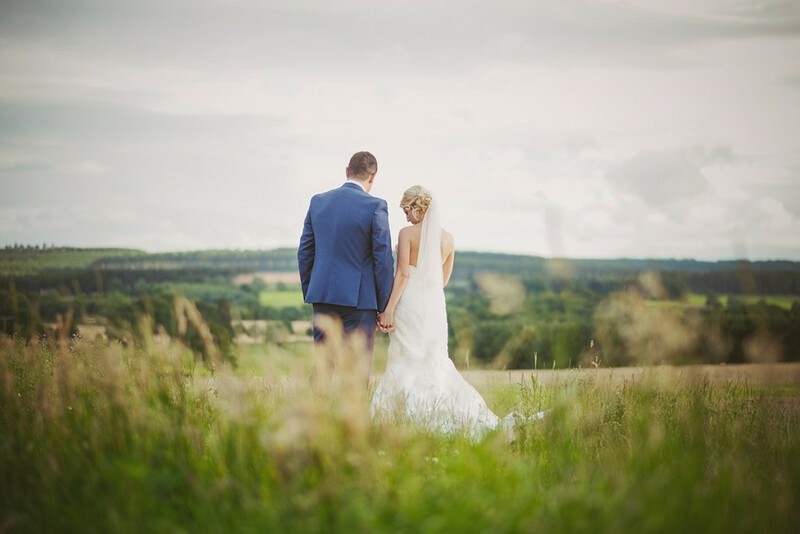 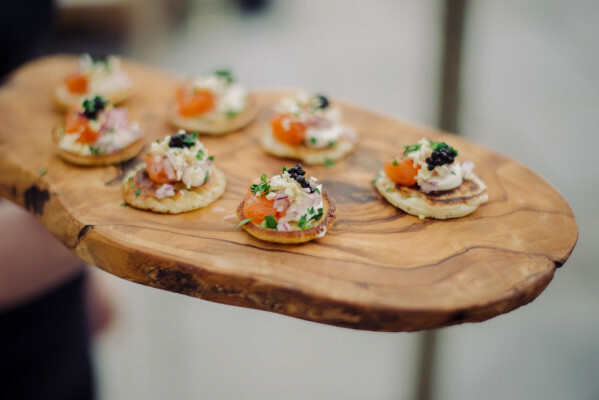 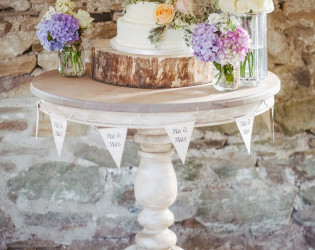 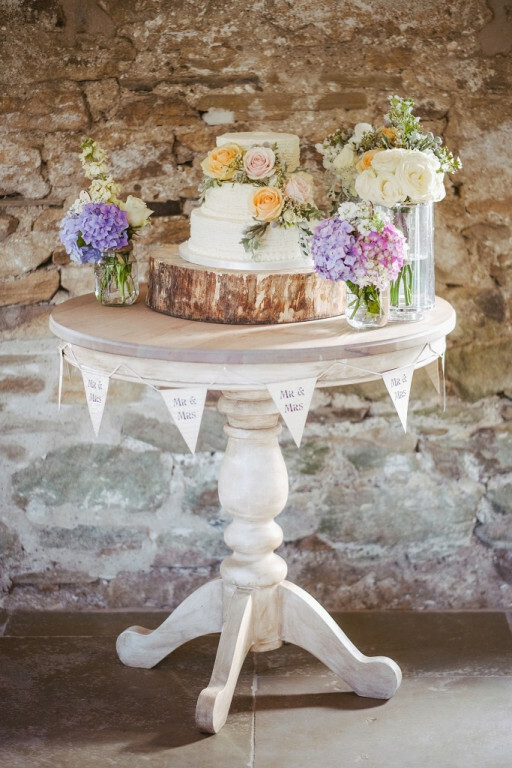 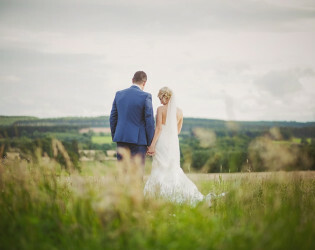 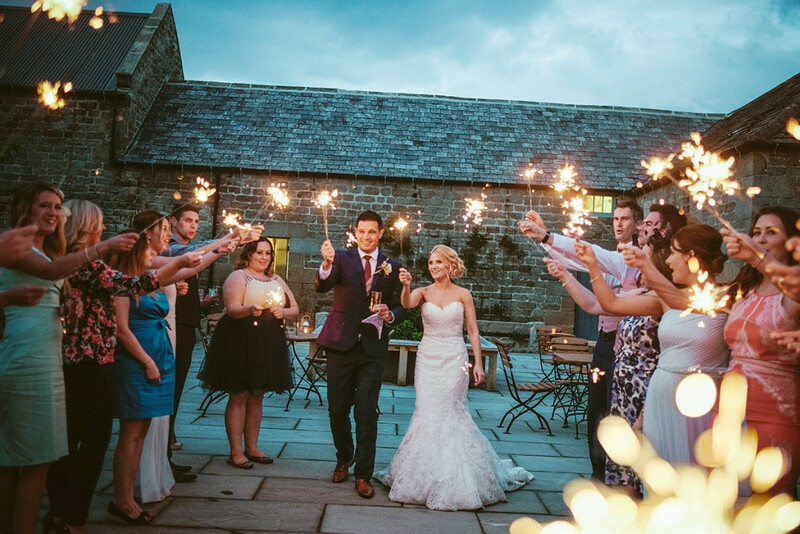 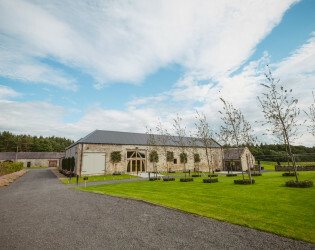 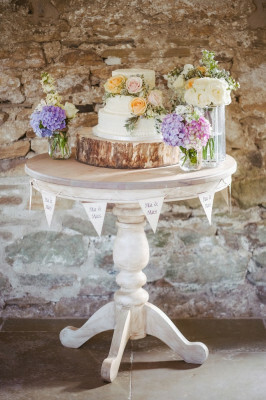 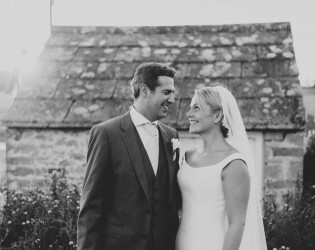 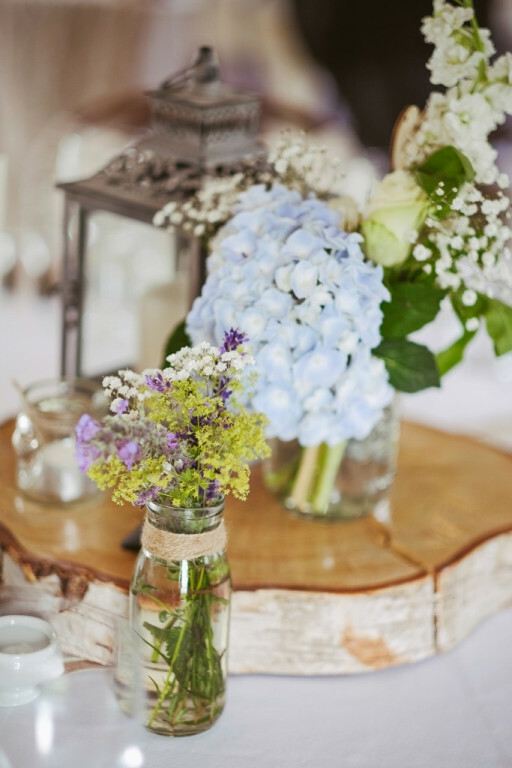 Winner of ‘Best New Venue’ at the UK Wedding Awards 2016, Healey Barn a wonderful new wedding venue in the Northumbrian countryside, near the small village of Healey, 6 miles south of Corbridge in the Tyne Valley. It is just 19 and 24 miles from the centres of Newcastle and Durham respectively. The venue is made up of a collection of traditional stone farm buildings surrounding a sheltered courtyard. 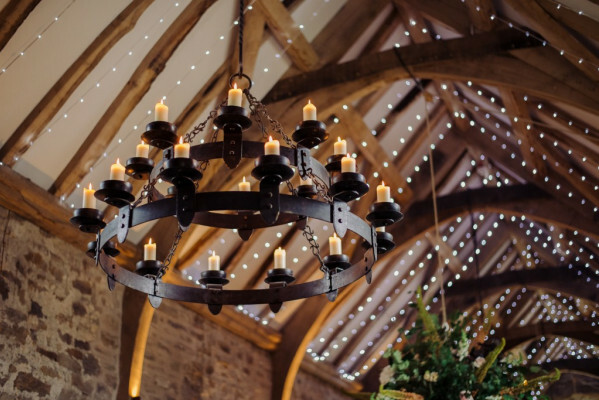 The main building, the Long Barn, has a spectacular oak “raised cruck” roof, three giant candelabra, wall-mounted candle holders, a fairy-lit ceiling and, of course, a barn-sized stone fireplace. 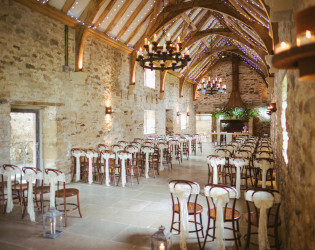 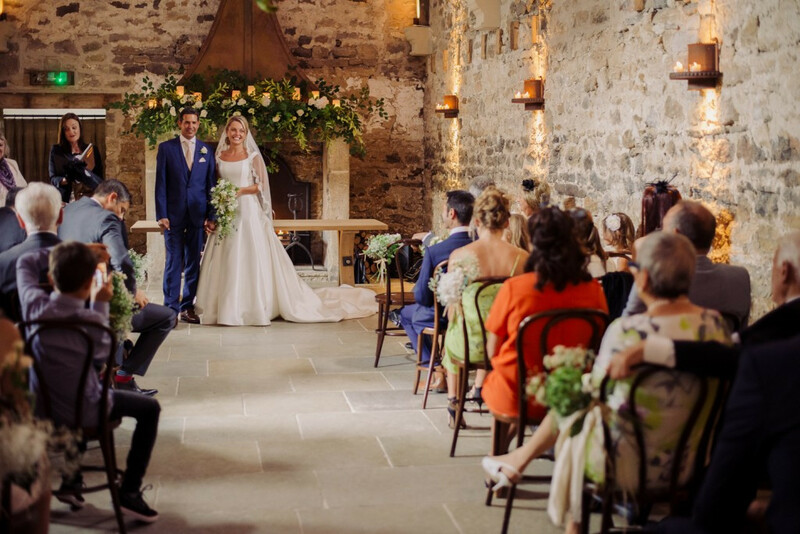 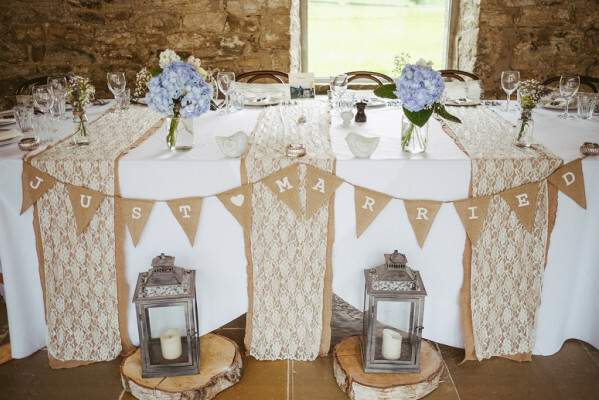 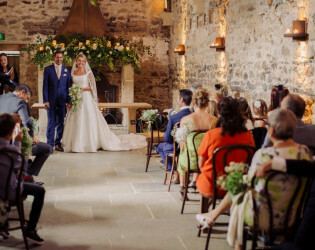 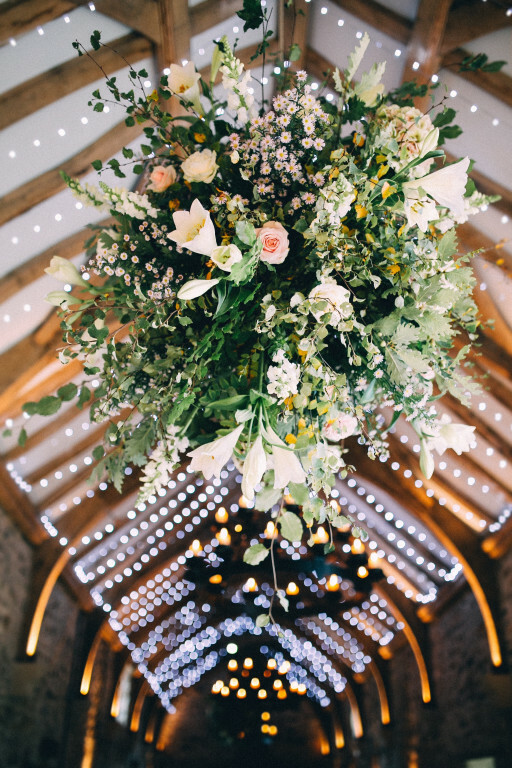 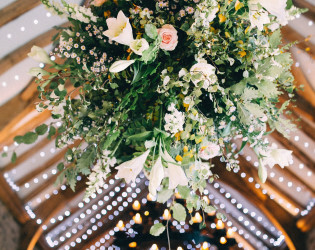 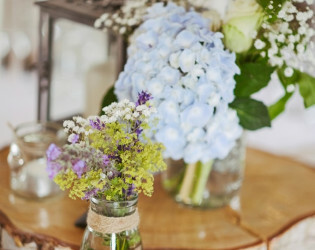 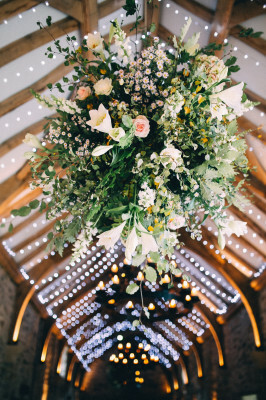 This creates an enchanting and romantic atmosphere, perfect for Civil Ceremonies or for the arrival point after a Church Wedding – and this later becomes the dance floor! 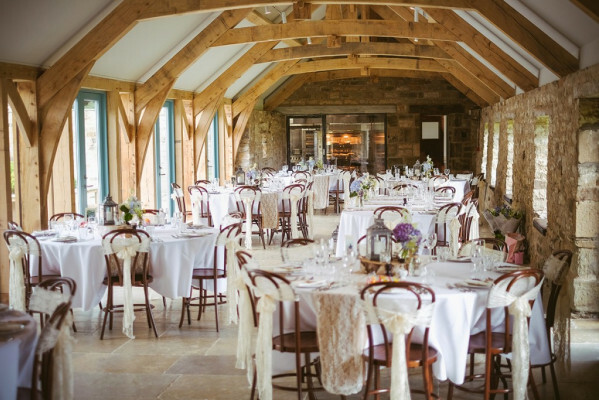 Joining the Long Barn is the Dining Room, the old cow byre, with another lovely oak roof, a glass wall looking into the Courtyard on one side, and windows to a fantastic Northumbrian view on the other. 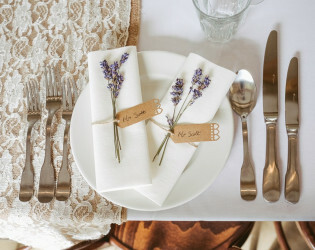 The Dining Room is spacious and luxurious for smaller numbers, but will accommodate higher numbers. 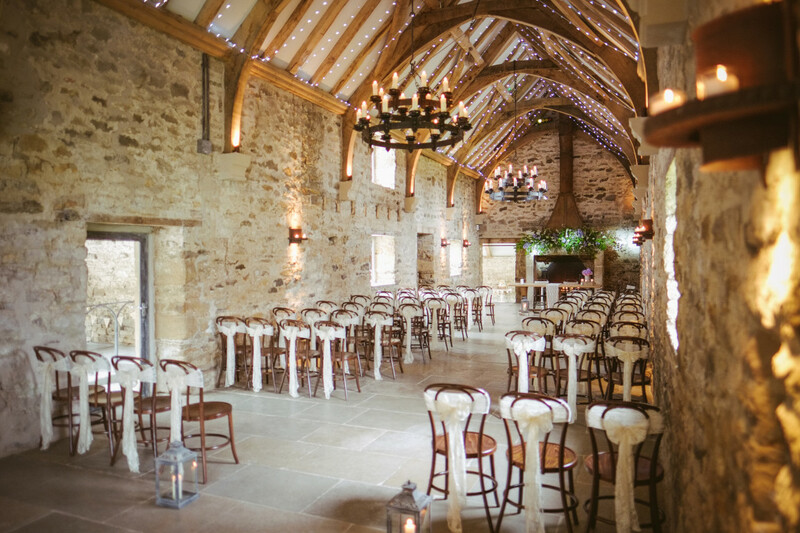 At the end of the Dining Room is a copper-clad bar, which has a licence until 1am. 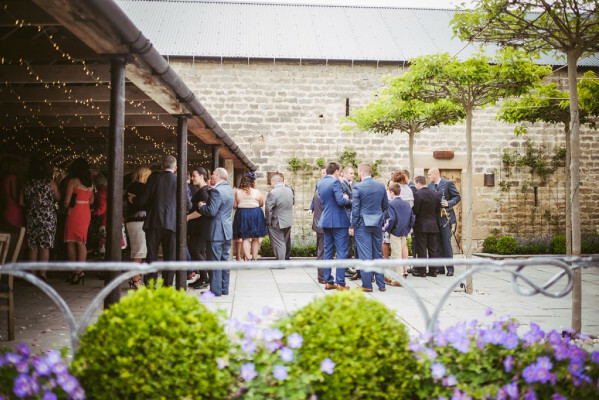 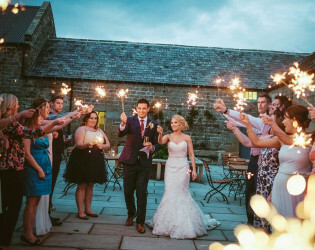 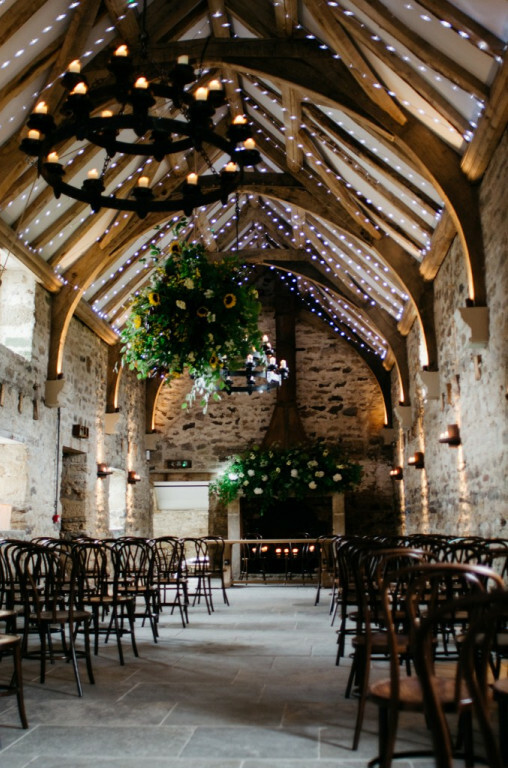 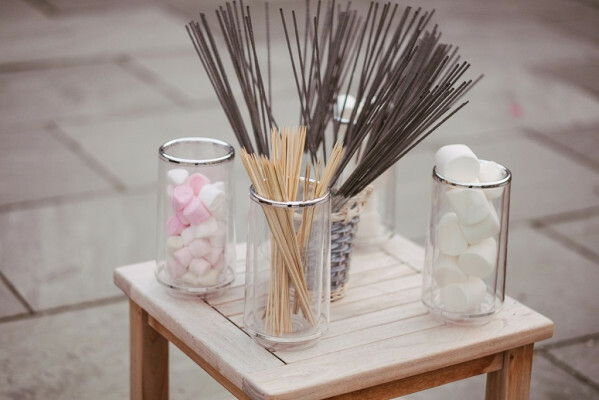 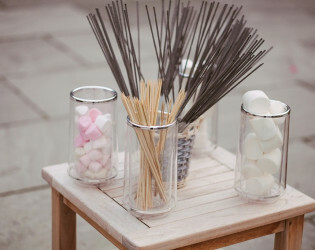 The Courtyard is sheltered by the buildings and is perfect for post-ceremony drinks on a mild day, and at night looks magical with fairy-lit trees, fire pits and lanterns. 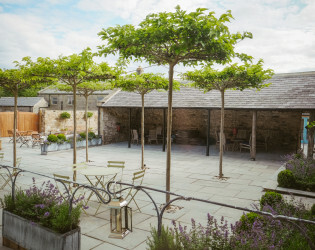 There are 3 giant oak planters with seats around them, 6 umbrella-topped trees, and various benches, cosy sun traps and planted troughs and borders. There is also a shelter with garden furniture; providing a covered outside area and a smokers’ refuge. 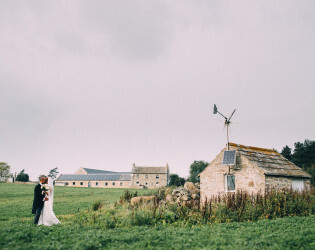 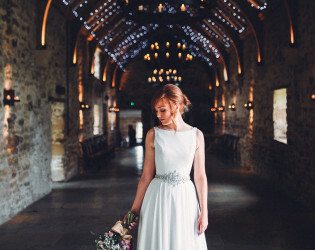 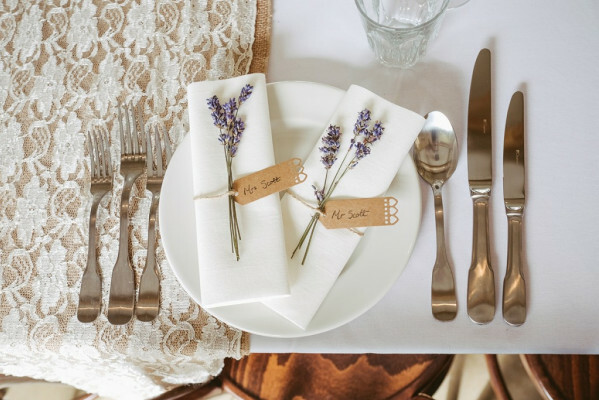 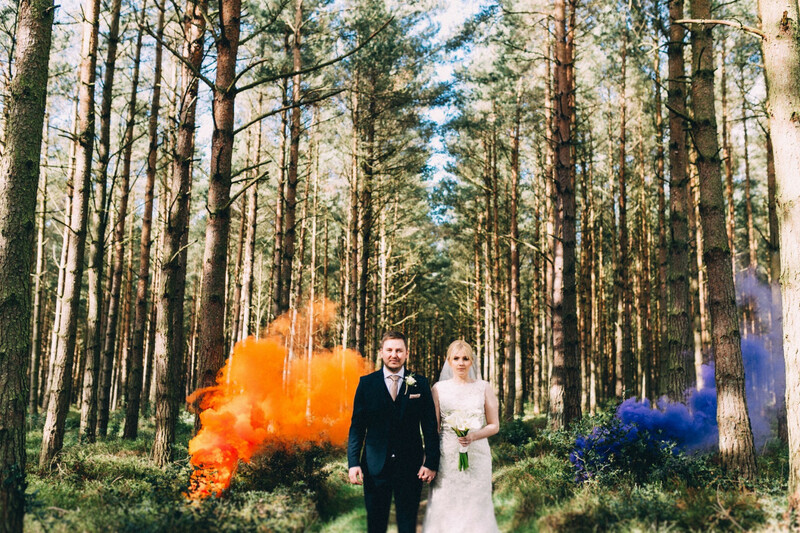 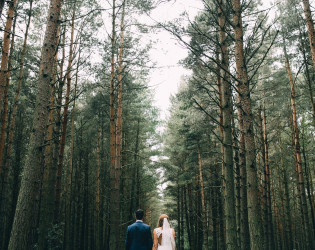 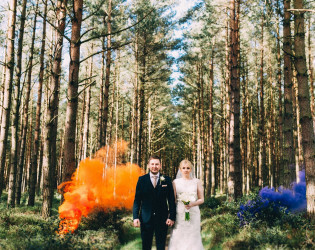 The northernmost building, the Store Room, contains smart toilets and also the Bride’s Room, where, before Civil ceremonies, the Bride can arrive discreetly and see the Registrars before making her entrance into the Long Room. 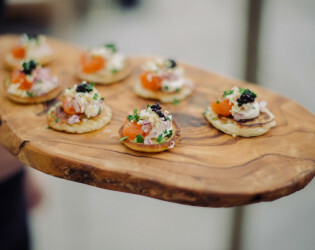 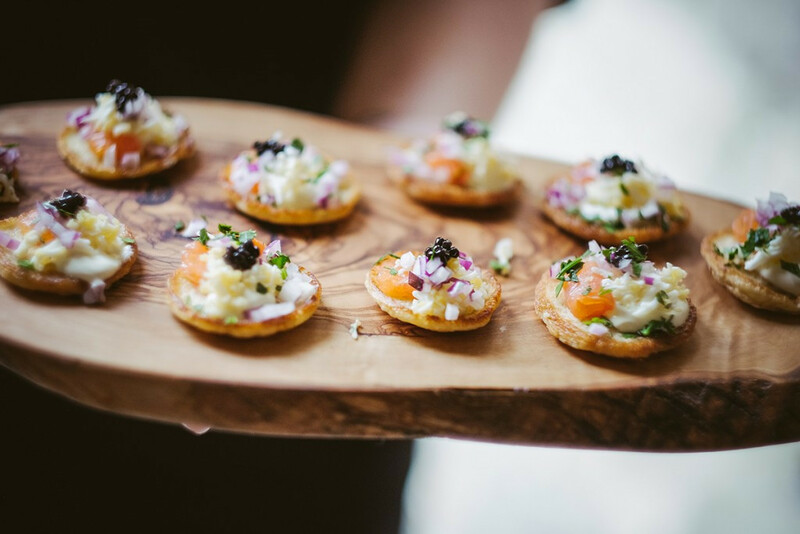 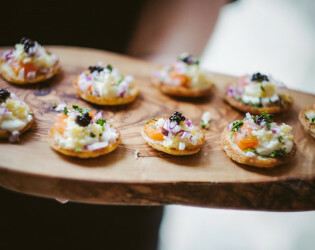 Completing the package is our inimitable menus. 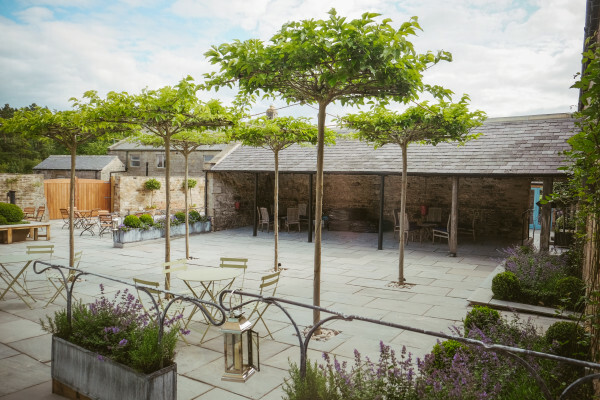 Their formula is “Buy the best, cook it simply, serve it generously.” We like to make our food dramatic as well as delicious, so there’s an 8-spit rotisserie visible through a glass screen from the Dining Room, and large mobile BBQ which can be moved in and out of sight as appropriate. 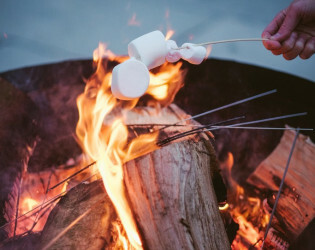 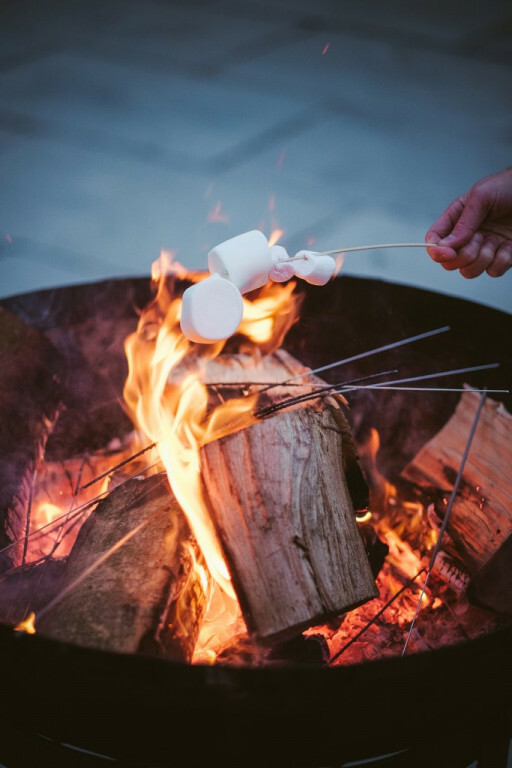 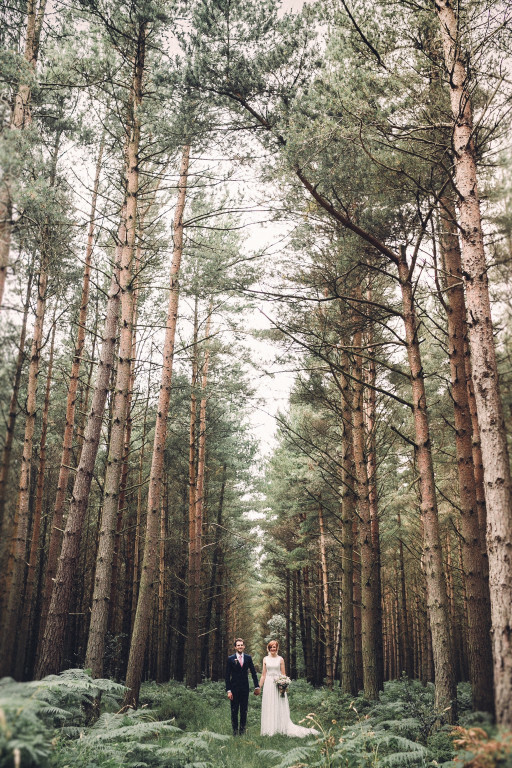 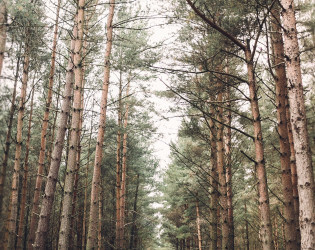 There is no onsite accommodation, however our dedicated team can suggest a number of lovely places to stay nearby. 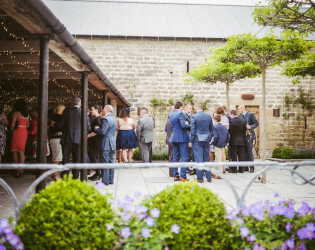 Our huge, mobile BBQ in our courtyard. Guests can enjoy watching our chefs cook during the drinks reception! 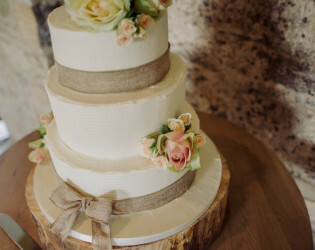 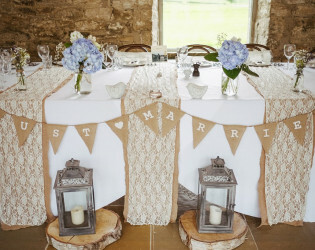 All tables, chairs, wedding cake table and wedding cake stand, glasses, table clothes and ceremony table are included. We also light all the candles in our chandelier, down the walls of the venue and on the tables for you, these are included in the price. 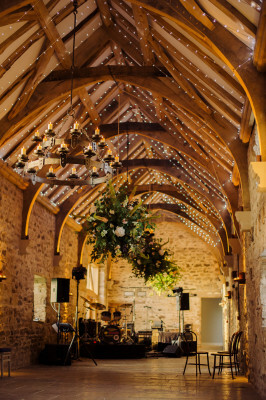 Awards & Notables Winner of Best New Venue at The UK Wedding Awards, 2016! 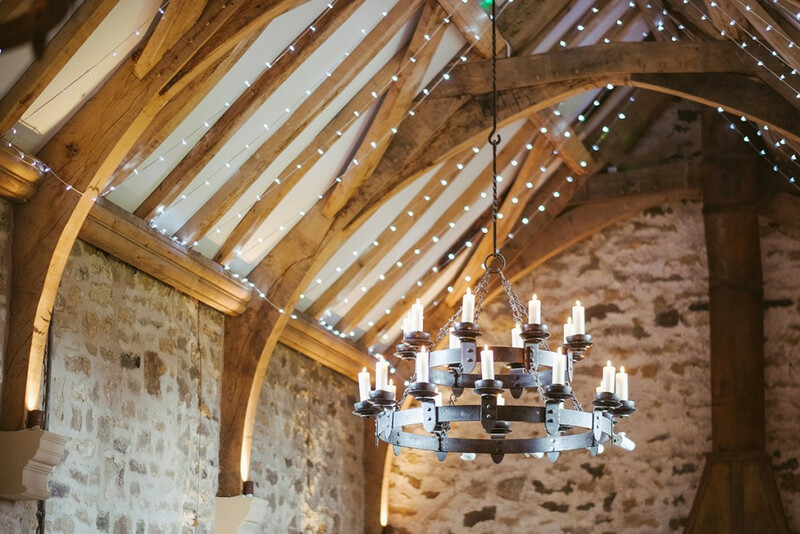 We have a copper-clad bar in the dining room, serving drinks until 1am.